Will we see you at EDUCAUSE? If you have Apple devices in your school or are thinking about bringing Mac or iPad in, join us at EDUCAUSE, October 27-30, to learn ways to successfully implement and sustain your Apple program. 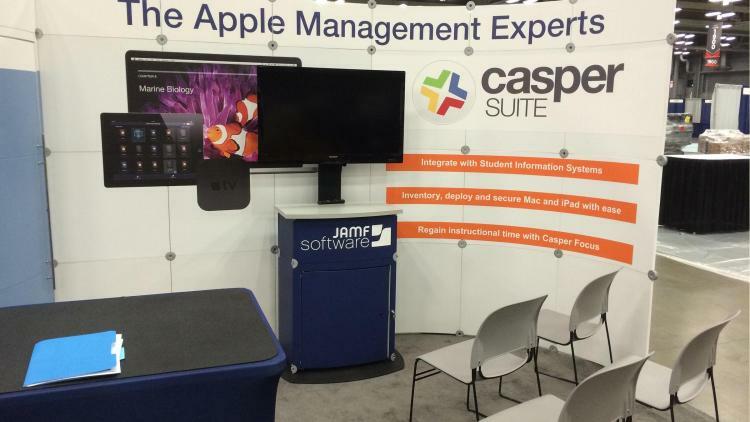 Visit us at Booth #343 to discuss best practices for Apple device management with our Casper Suite solution, and its education-centric app, Casper Focus. We'll be onsite throughout the event and welcome the opportunity to meet, talk, and share ideas on new and better ways to ensure you get the most out of your Apple devices. After the sessions, presentations, and keynotes end, the learning, fun, and networking don't have to. To celebrate the kick off of EDUCAUSE, the world's premier event for higher education IT, we are hosting a special happy hour on Tuesday evening. This is a great opportunity to settle in for a wonderful conference, meet fellow attendees, and discuss the education technology topics that are on your mind.